WEATHERBE (Weatherbee, Weatherby), Sir ROBERT LINTON, lawyer and judge; b. 4 or 7 April 1834 in Bedeque, P.E.I., second of the 15 children of Jonathan Weatherbee and Mary Baker; m. 16 June 1864 Amelia (Minnie) Johnston (d. 1923) in Wolfville, N.S., and they had eight sons; d. 27 April 1915 in Halifax. Son of a merchant and shipowner, Robert Weatherbe obtained his early education in Charlottetown. He left Prince Edward Island to attend Acadia College in Wolfville in 1854, at about the same time as his family emigrated to Wisconsin. His parents and many of his siblings remained in the Midwest, but Weatherbe would spend the rest of his life in Nova Scotia. Soon after receipt of his ba from Acadia in 1858 he was articled in Halifax to the Conservative premier of Nova Scotia, James William Johnston*, and he was called to the bar on 26 Oct. 1863. The Baptist connection must have been Weatherbe’s route into Johnston’s circle; he cemented his status in the highest echelons of the provincial élite by marrying Johnston’s niece in 1864. Initially on the side of confederation in the debates of 1864, he published a pamphlet in that year titled The dawn of a new empire. For reasons which remain unclear, he soon joined the Anti-Confederation League, of which he was a secretary. His partisan allegiance was equally variable in the 1860s. The Weatherbee family had been Reform while on Prince Edward Island, but by 1864 Robert could boast that he had the recommendation of “many of the strongest men of the Conservative Party.” Once on the anti-confederate side he became, and remained, a Liberal. After confederation, Weatherbe was able to devote himself more fully to his legal career. In February 1868 he was appointed law clerk to the Legislative Council, a post which he would hold until 1878. 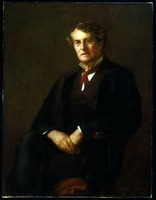 He first practised alone, and then with another lawyer, before becoming associated with Wallace Nesbit Graham shortly after the latter’s call to the bar in 1871. 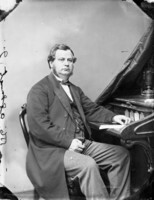 In 1874 they engaged Robert Laird Borden* as an articling clerk. Weatherbe and Graham both developed into extremely successful lawyers and each became chief justice, although their personalities and political affiliations were totally dissimilar. Weatherbe’s reputation evolved at a time when florid eloquence and impassioned rhetoric were highly prized, and this style of oral advocacy was his in ample measure. Yet he could also marshal a vast and complex body of evidence, historical, scientific, and sociological, before the Halifax Fisheries Commission in 1877 [see Sir Albert James Smith*]. Along with four other counsel, Weatherbe succeeded in convincing the three-man commission that the United States owed Britain $5.5 million for fishing privileges granted under the 1871 Treaty of Washington. Loyalty to the Liberal party eventually paid handsome dividends: Weatherbe received a commission from the federal government of Alexander Mackenzie* to act as agent for the Department of Justice in Halifax and in 1876 obtained a qc from the provincial administration of Philip Carteret Hill*. His quest for a judicial appointment was supported by many Liberals among the Halifax bar, who advised the federal minister, Edward Blake, in 1877 that Weatherbe stood “at the head of the Barristers of Nova Scotia, who have supported the present Administration.” Weatherbe became one of Mackenzie’s “midnight judges,” appointed on 7 Oct. 1878, after the defeat of the Mackenzie government and two days before power was handed back to Sir John A. Macdonald*. The lacklustre Supreme Court bench of the 1870s was little enhanced by Weatherbe’s presence. Impatient, vain, and domineering, he found difficult the transition to the patient, contemplative life of the judge, and did not get on well with his colleagues. The best Wallace Graham could say about him in 1885 was that he was “a sort of devil’s advocate that they cannot do without . . . . [T]here would be more injustice done if he were not there.” Weatherbe’s reputation as a dissenting judge was amply confirmed in his few judgements in constitutional law. He consistently opined that only the dominion could pass temperance legislation, and held local legislation on the subject ultra vires. In 1883 he held ultra vires provincial legislation aimed at facilitating arrangements between railway companies and their creditors, as encroaching on the federal power over interprovincial transport and bankruptcy and insolvency. In 1880 Weatherbe sentenced a man to death in a case which shocked the sensibilities of a modernizing Nova Scotia. The overseers of the poor at Digby had contracted out the maintenance of local paupers to Joseph Nick Thibault. Upon the discovery of the charred remains of one of his charges, pregnant Charlotte Hill, Thibault was tried for her murder and convicted by the jury. On the day of his hanging in the jail at Annapolis Royal, a mob of seven hundred people destroyed the prison enclosure in order to witness the event. A long interest in coalmining led Weatherbe to appear as a plaintiff three times in 1897 before his own judicial colleagues. He alleged that the Boston capitalist Henry Melville Whitney* had induced him to buy Dominion Coal Company Limited stock through false representations, and was awarded damages for deceit. In another action he complained that Whitney had breached an agreement to purchase an interest in coal properties from Weatherbe for $50,000. He had taken the dramatic step of having Whitney arrested while on a visit to Pictou to prevent his fleeing the jurisdiction, but the court set aside the order. By the end of Weatherbe’s nearly 30 years on the bench, some were desperate to get rid of him. 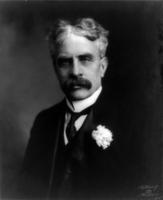 In 1902 fellow Liberal Benjamin Russell* begged Sir Wilfrid Laurier to assist in Weatherbe’s plan to secure an appointment in the new Union of South Africa, “or anywhere else.” The prime minister replied that he could do nothing, since Weatherbe “for a long time yet, must try the cases and the patience of the good people of Nova Scotia.” The year after Chief Justice James McDonald retired in 1904 Weatherbe, the senior puisne judge, was elevated to the office. 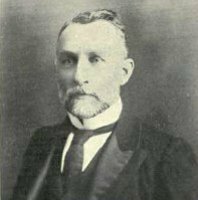 He did not remain long as Nova Scotia’s 11th chief justice, retiring in March 1907. He was created a knight bachelor in 1906 in accordance with convention. During the last few decades of his life Weatherbe lavished attention on St Eulalie, his large estate in the Gaspereau valley, where he maintained the style of a country gentleman. At one point his apple orchard was reputed to be the largest in the province. On his death he possessed a substantial estate which he left entirely to his wife of over 50 years. Robert Weatherbe had succeeded brilliantly in parlaying his unpromising beginnings into a secure spot in the Canadian, indeed imperial, élite. His style of life, the knighthood, his adoption of Anglicanism, and a possibly invented English genealogy all confirmed that position. His six surviving sons, five of whom became officers with the British, Canadian, or Indian military, exemplify the imperial opportunities which such families could take almost for granted in the early 20th century: D’Arcy, an engineer, became provost marshal of Hong Kong; Wilfred settled in Kenya after service in India; Paul, also an engineer, retired to Grand Pré after service in Australia and Ottawa; Lewis Johnston, a doctor, settled in England; Philip studied in Edinburgh, served in the South African War, and practised medicine in Yorkshire before returning to Halifax; and Karl travelled the North American continent as a railway engineer. 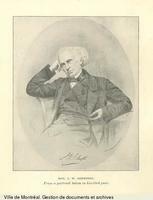 A paper by Sir Robert Linton Weatherbe entitled “The Acadian boundary disputes and the Ashburton Treaty” appears in the Nova Scotia Hist. Soc., Coll. (Halifax), 6 (1888): –51; one entitled “Codification” was published in the American Law Rev. (St. Louis, Mo. ), 20 (1886): 322–31; and an 1891 Nova Scotia Supreme Court decision by him was published as Liquor Licence Act, 1886: judgement of Hon. Mr. Justice Weatherbe . . . (Toronto, 1892). Under the pseudonym A British American, Weatherbe is also the author of The dawn of a new empire: being a reply to ‘Remarks upon the proposed federation of the provinces, by a Nova Scotian’ ([Halifax? ], 1864), which has been reproduced by the CIHM and is listed, under the title, in its Reg. Halifax County Court of Probate (Halifax), Estate papers, nos.8077, 10393, 11792, 19349, 23962. NA, MG 26, D: 6268; G: 66892. PARO, P.E.I. Geneal. Soc. coll., reference files, Weatherbee family. Halifax Herald, 23 March 1907, 27 April 1915. Morning Chronicle (Halifax), 11 Oct. 1878. R. C. Brown, Robert Laird Borden, a biography (2v., Toronto, 1975–80), 1. A. W. H. Eaton, The history of Kings County, Nova Scotia . . . (Salem, Mass., 1910; repr. Belleville, Ont., 1972). Clara Greco, “The superior court judiciary of Nova Scotia, 1754–1900: a collective biography,” in Essays in the history of Canadian law, ed. D. H. Flaherty et al. (7v. to date, [Toronto], 1981– ), vol.3 (Nova Scotia, ed. Philip Girard and Jim Phillips, 1990): 42–79. Nova Scotia Reports (Halifax), 1866–1907. Waite, Man from Halifax. Philip Girard, “WEATHERBE, Sir ROBERT LINTON,” in Dictionary of Canadian Biography, vol. 14, University of Toronto/Université Laval, 2003–, accessed April 26, 2019, http://www.biographi.ca/en/bio/weatherbe_robert_linton_14E.html.